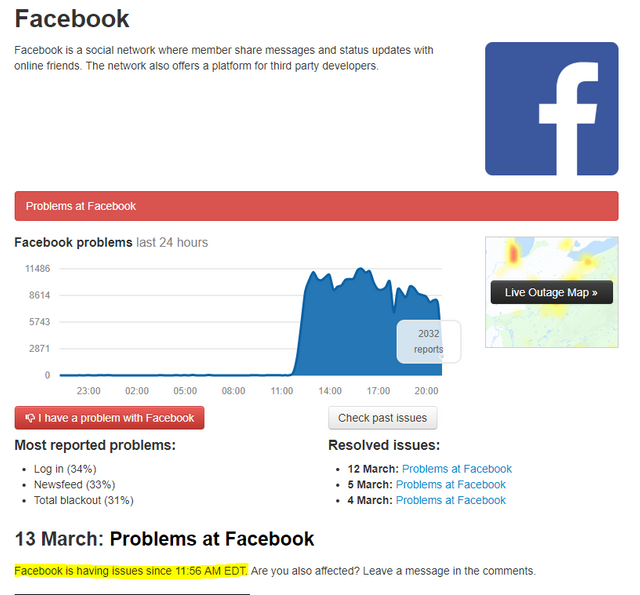 I don't use either platform but have been seeing people complain about it on downdetector.com Take a look at the highlight on the bottom. Somehow my Twitter locked me out of my account due to suspicious activity....even though I don't post on twitter. Proud member of #steemsilvergold! The best group on steemit! Steemit impacted as well...… an hour back. You just got a 0.76% upvote from SteemPlus!